CTT Shipping works closely with clients to prepare for projects and events when our technical expertise is required. We prepare specifications ahead of such undertaking, provide cost assessments, and provide on-site attendance during the physical phase. We follow up to evaluate performance and ensure full crew familiarity. We conduct in-depth physical inspections of vessels, records and documents in order to assist our clients in assessing vessel condition and maintenance positioning. In other cases we assist in preparing vessel conditions for marketing. We also perform on-hire and off-hire surveys as well as general condition surveys for owners, their lenders and insurance underwriters. In advance of trades to territories with particularly strict port state controls, we have offered our vast expertise to diminish PSC deficiencies and prevent detentions. No vessel we have prepared has been detained in our history at any port, including the strictest EU and US ports. 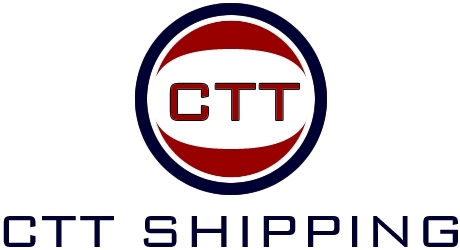 Where CTT Shipping is contracted after a vessel has been detained, we quickly move and secure an expeditious release and minimize our clients’ financial exposure. In cases where cargo interests are exposed to cargo value losses after vessels have become incapacitated, we have been called upon to arrange global solutions that consider all interests in the voyage, including ship owners, charterers, underwriters and other interested parties. Specific to the individual client, we offer the best solution that will enhance our client’s financial position and limit legal exposure in a mutually agreeable way to all involved parties. When disputes arise, we have been called to assist clients facing large financial exposure. Through thorough review of relevant documents we can provide our opinion on the merits of prospective claims and execute negotiations on behalf of our clients. Our intervention has assisted clients in obtaining favorable settlements, often without requiring costly legal or arbitration proceedings. In cases where arbitration has been deemed necessary, we have successfully prepared for arbitration in such diverse venues as London, New York, Paris, Piraeus and New Delhi. CTT Shipping has directed the implementation of ISM and ISPS codes and certification on behalf of vessel operators with minimal expenditures and audits. Similarly, we have assisted non-operators receive ISO certification to offer quality assurances to their clients.